Manufacturer of a wide range of products which include Colour Coated Roofing Sheet, Colour Coated Coils, Roofing Sheets, Plain Roofing Sheets, Color Roofing Sheets and Galvanized Roofing Sheets. Features Colour coated roofing sheets for long life ! 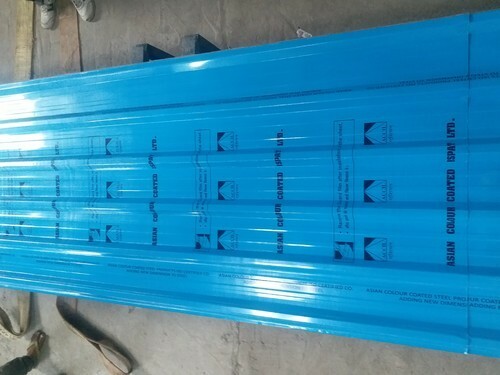 Colour coated roofing sheets for longlife sheet! Colour coated roofing sheet for all type use!